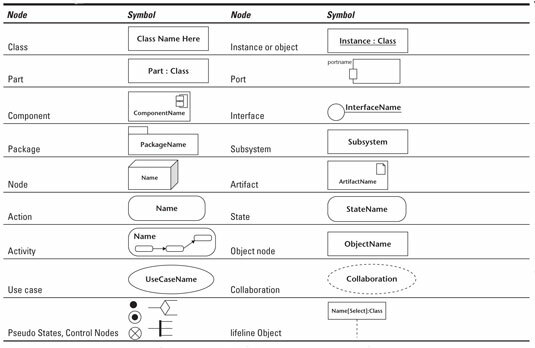 Nodes are the nuts and bolts of your UML diagrams. Your development projects can be enhanced by using each node’s symbol form to add rich texture. This table shows you the basic parts that can be combined in a variety of ways to research, analyze, design, and document your development in UML.